Goori woman Elizabeth McEntyre is a direct descendant of the Jonas family from the Worimi and Wonnarua Nations of coastal Port Stephens, Newcastle and the Hunter Valley in NSW. Elizabeth worked for Australian and NSW Governments for more than 20 years and in the last decade of this employment worked in senior management and policy positions in the Aboriginal health and correctional health sectors in NSW. Elizabeth is the PhD scholar on the IAMHDCD Project and her research 'But-ton Kidn Doon-ga : Black Women Know, is undertaken by, with and for Aboriginal women to re-present the lived experiences of Australian Indigenous women in NSW and Northern Territory with mental health and wellbeing issues and/or cognitive disabilities in contact with criminal justice systems. 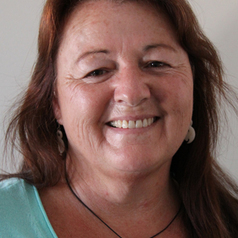 Elizabeth is also an accredited Mental Health Social Worker at the Biripi Aboriginal Corporation Medical Centre (Purfleet, Taree) and an Official Visitor in NSW prisons. Elizabeth operates an Indigenous Small Business Consultancy and is a member of Mandurah Hunter Indigenous Business Chamber, NSW Indigenous Chamber of Commerce and First Australians Chamber of Commerce and Industry.